After the Six-Day War, many believed that the course of Jewish history was about to change. 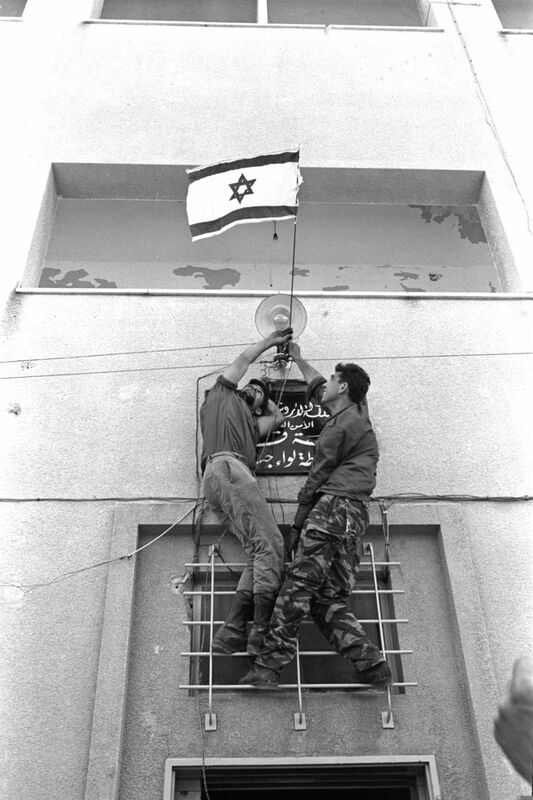 Suddenly the Golan Heights were in Israeli hands, as were Judea and Samaria and the Sinai Peninsula. Syria, Jordan, and Egypt – which had held these territories, respectively – now wanted them back. Many believed that what the Arabs desired represented an opportunity for the Israelis: For the first time ever, we held genuine, solid bargaining chips – which, if we acted wisely, could be cashed in as part of a peace deal. The dream was that Israel’s victory in the war would also deliver victory over war itself. Peace, it was believed, would transform the fate not only of Israel but of the Jews in general. Israel would cease to be an isolated fortress-state and would become an organic part of the Middle East. When we became fully integrated into the Middle East, it was believed, we would also be fully accepted by Europe and the entire West. The Jews’ two-millennia-long estrangement from humanity would come to an end, and they would finally be welcomed into the family of nations. But there seemed to be another way to reap the fruits of victory. Instead of relinquishing territory, Israel could settle it. This, many believed, would be the act that would transform Jewish history from the bottom up. According to this view, the Jews of the Diaspora, because they live outside their own land, feel a profound sense of alienation – not from the outside world but from themselves. When a nation lives outside its own land, it is not connected to itself. When the nation’s present does not unfold in the same place as its past, that creates a fissure in the nation’s very soul. The foundational memories of the Jewish people were forged in Nablus, Hebron, Jerusalem and Bethlehem, and Israel’s victory in the 1967 war made possible the return of the Jews to this biblical homeland. This would create a living bridge between the past and the present, enabling the injured and tortured psyche of the Jewish people to heal. This would not be a simple return to history. Healing the nation, it was believed, would also heal the future. According to this vision, settlement on ancient soil would propel history toward the future Redemption. The clash between these two dreams was acute, but they were both underpinned by a basic consensus. Both camps of dreamers believed that if they leveraged the gains of the war correctly, they could change the course of Jewish history. They had something else in common: They were both wrong. Each side believed that history was marching inexorably toward the realization of its respective vision, but as the years went by, these visions actually waned. Over time, more and more Israelis shook themselves free of these two ideologies and opened their eyes, waking up from these two dreams. How did this happen? For starters, the Israeli left changed. Most of the left stopped talking about “peace” and ceased believing that a diplomatic agreement to fix the Middle East was just around the corner. The right also changed. Most of the right no longer believes that settlement, even if it fulfills the prophecies of the past, will also spur the redemption of tomorrow. Ever since the Second Intifada, the left has talked less about peace and more about the harm done by the occupation; and ever since the 2005 disengagement from the Gaza Strip, the right has talked less about redemption and more about security. More specifically, the dominant view on the left today is that if Israel remains in the territories and continues to exercise military rule over a Palestinian civilian population, it will suffer three effects: moral degradation, diplomatic isolation and demographic defeat. Most demographers, too, believe that the day is fast approaching when the Jews will no longer form a majority in the territory under Israeli control. Once the Jews become a minority in their own land, it will cease to be their land. The right usually grapples with this demographic argument through denial. It cites alternate demographers who calculate that the Jewish majority is not in danger. But even if they are correct, and the Palestinians end up constituting “only” 40 percent of the country’s population, it would be difficult to define such a country as the nation-state of the Jewish people. In other words, the desire to cling to the Land of Israel strains the self-definition of the State of Israel. Paradoxically, the aspiration to control biblical soil will not deepen the Jewish character of the state – it will obliterate it. One is compelled to admit that this argument possesses tremendous weight. Over on the other side of the aisle, however, the right’s security case has experienced an update and upgrade in recent years. In the past, it was commonly argued that a Palestinian state in Judea and Samaria would endanger Israel’s security. People said that a Palestinian state would forge military alliances, build up an arsenal, and then – in a surprise offensive – attack Israel in its shrunken, indefensible new borders, and defeat it. This is an outdated argument based on a nightmare scenario that many agree is no longer relevant. Nowadays, however, the right has a much more relevant case. Since the eruption of the Arab Spring, in 2011, the Middle East in general has been undergoing a major upheaval. This shake-up can be compared to a powerful earthquake, bringing every weak and unstable building crashing down. When the ground shakes in the Middle East, fragile states collapse in a matter of seconds. In light of that, Henry Kissinger recently raised a question that was begging to be asked: If states with established political traditions – such as Syria, Libya and Iraq – have collapsed, would a weak and newly independent Palestine survive? And what would happen if it didn’t? This is the truly alarming scenario: Radical forces from across the Middle East could enter the vacuum created by the weakness of a Palestinian state, forcing Israel to confront this regional chaos at the gates of Tel Aviv. In other words, if the right once argued that a Palestinian state would pose a threat because of its strength, it now argues against such a state because of its weakness. One is compelled to admit that this argument possesses tremendous weight. It is fascinating to observe how the right and left have become mirror images of each other: The right no longer believes that settling the territories will bring Redemption, but says withdrawing will bring disaster; the left no longer believes that withdrawing from the territories will bring Redemption, but says remaining there will bring disaster. Left and right have undergone similar processes: They have both moved from hopes to fears. This is good news. This transition from hope to fear should in itself spark a glimmer of hope for the political debate in Israel. Between rival political dreams, there necessarily exists a zero-sum game. There is neither a middle way nor room for compromise between the dream of peace and the dream of a Greater Israel. For years, each camp took ownership of a single dream that totally negated its rival’s dream. No such dynamic exists between fears. Anyone with personal experience of phobias knows that fears can easily accumulate. One who is afraid of heights can easily also be afraid of spiders and confined spaces. This is exactly what has happened in the Israeli public conversation. Many Israelis have simultaneously assimilated the fears of both left and right. In reality, most Israelis have been convinced, to a greater or lesser extent, by both the right’s existential argument (that a territorial withdrawal would constitute a geographic danger) and the left’s (that remaining in the territories would be a demographic danger). For the first time ever, Israel has a new political space that does not exist between left and right, but rather encompasses both left and right. This is a dramatic, largely unremarked-upon change: The center ground of Israeli society has lost its sense of certainty. Israeli Jews who fear that remaining in the territories will endanger Israel’s national majority but that leaving them will endanger the country’s national security are very confused Jews indeed. This is the paradox that I tried to highlight in my book “Catch-67.” Some of the responses were furious. “How dare you claim that the demographic argument is a serious one?” shouted the right. 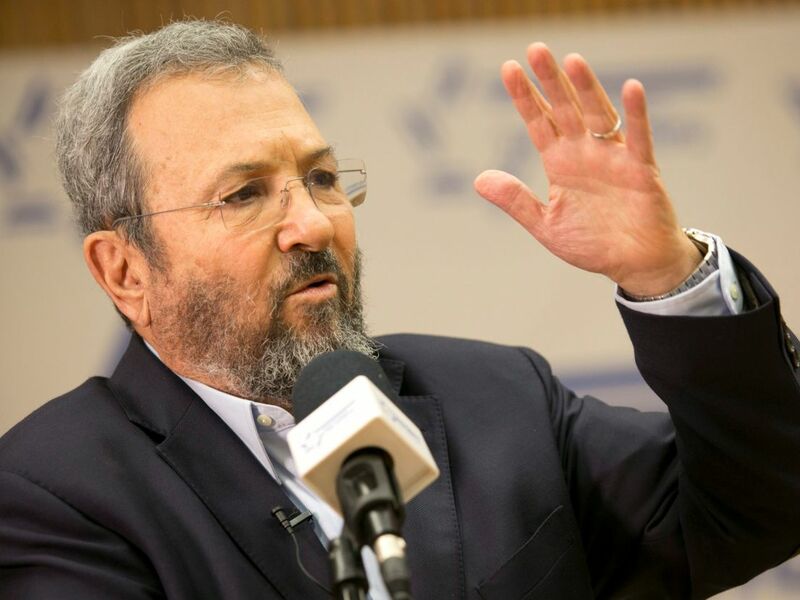 “You’re no security expert – who gave you the authority to give any weight to the security arguments of the right?” charged former prime minister Ehud Barak. The confusion I outlined perplexed many readers, from left to right. They were appalled by my tendency to construct a symmetry between the arguments of the different sides in the debate. Today, one year after the publication of “Catch-67,” I must admit that there is some validity to this objection: We do not need to speak of “symmetry” in order to draw attention to the existence of a paradox. So here is a more refined formulation: There is much weight to the argument that if we remain in the territories, we will endanger our ability to define ourselves; and there is much weight to the argument that if we leave the territories, we will endanger our ability to defend ourselves. The paradox generated by taking both these arguments seriously does not commit us to accepting a symmetry: Some attribute greater weight to the security argument, and some to the demographic argument. But whoever does not deny either of these arguments, giving them each at least some weight, is trapped in a place of profound political confusion. When I wrote the book, I thought what I was doing was peering into the philosophy behind the politics, to outline a brief history of political thought in Israel, and to put into words the powerful dreams of the left and the right, as well as the collapse of those dreams and the birth of this new political confusion. I ventured to write an analysis not of the conflict, but of the conversation among Israelis about the conflict. When the book was published, however, I was surprised. Alongside the outraged responses of readers who reject the existence of this paradox, the readers who embrace the paradox confronted me with a profound question. They were interested less in the discussion that Israelis have with each other, and more in the question of how to escape the trap that Israelis are caught in with the Palestinians. Liberation from a false dichotomy. Our conversation is trapped in the following dichotomy: There are those who call to end the conflict, and there are those who call to manage the conflict, and it would appear that these are the only two options. The left says that the status quo cannot be sustained, that it will eventually crumble and lead us to disaster. The right, in contrast, says that the conflict cannot be ended: There is no “partner,” and there can be no talk of a permanent accord in a Middle East where nothing is permanent anymore. Both sides are right: The conflict cannot be ended, but neither can we perpetuate the status quo. Both sides, however, are also wrong, if they think these are the only options. This is a false dichotomy. The fact that there is no way to decisively end the conflict need not commit us to political passivity. The alternative to ending the conflict need not be managing the conflict. There is another option: minimizing the conflict. For an illuminating analogy, consider the world of medicine. Some serious illnesses cannot be cured, but medical intervention can still be meaningful. Treatment might be unable to banish a disease but can still contain its destructive symptoms – it might turn a fatal disease into a merely chronic one. Even if Israel lacks the power to end the conflict, it can still shrink it to proportions that will no longer threaten the state’s very existence. Thinking artistically. Consider the following two situations: Person A decides to fast on Yom Kippur, but snaps in the course of the day and drinks a bottle of cold water. In contrast, Person B does not fast at all and throughout the day eats three full, tasty meals. There is obviously a huge difference between the two experiences, but as far as Jewish law is concerned, the two are identical. According to halakha, either one fasts or one does not. Religion is rooted in dichotomies. It deals with permission and prohibition, pure and impure, sacred and profane. Art, in contrast, is not based on dichotomies. If one is uninspired by the latest track by a certain band, that does not mean one considers it awful. It is perfectly possible to judge a song pleasant but uninspiring, or to deem it mediocre. Whereas religion considers whatever is not sacred profane, art does not consider whatever is not beautiful ugly. Religion has dichotomies. Art has spectrums. One of our problems is that we think of politics in the same way that we think about religion. Can we change our basic intellectual frameworks and start thinking about politics in a non-dualistic way? If, for example, it proves impossible to completely end our military rule over the Palestinians without assuming intolerable security risks, could this military rule still be dramatically minimized? I am aware that some readers will consider this last sentence jarring. They must say to themselves: “What does it even mean to minimize the occupation? Occupation is occupation.” This objection brings to mind those who claimed that evacuating the outpost of Amona was tantamount to evacuating Jerusalem, saying that all evictions are equivalent. These are examples of how the intellectual frameworks of religion have been transplanted into contemporary political thought. We are yet to decide as a society whether to separate religion from politics, but I think for now we can at least stop turning politics into a kind of religion. Painfully letting go of our dreams. We cannot continue to found new settlements in the biblical heartland of Israel, nor can we reach an agreement to forge a New Middle East. To depart from our dreams is to mature politically, and to come to terms with the inherent imperfection of Israeli history. These three intellectual shifts can liberate our discourse and thought. If we relinquish our dreams, abandon our false dichotomies, and cleanse our politics of religious thinking – we can consider the following question: What can be done to dramatically minimize our rule over the Palestinians without endangering the security of Israelis at the same time? 1. Transfer sections of Area C to the administrative control of the Palestinian Authority, thereby enlarging its breathing space and shrinking its dependence on Israel. 2. Construct a network of bridges, tunnels and roads bypassing the settlements in order to link up the various territories under PA control and, no less important, give the PA sovereignty over all these travel arteries. This is a gigantic project, which would not give the PA territorial contiguity but rather a sovereign system of transportational contiguity. 3. Stop expanding settlements that are situated outside the large settlement blocs, so as to advance efforts to create maximal transportational contiguity for the Palestinians. 4. Amend the Paris Protocol on Economic Relations to enhance the PA’s financial and bureaucratic powers and boost its economic independence. Such policies could be decided upon tomorrow morning because none of them requires a peace treaty. What results could we expect? There would be little consequence for Israeli security, because the Israel Defense Forces would retain a presence on the ground and the work of the Shin Bet security service would remain unaffected. But such actions would indeed shrink the Palestinians’ dependence on Israel and vastly minimize their sense of humiliation. Would such initiatives end the conflict? Obviously not, but they would do something else instead: They would show that it is possible to minimize Israel’s rule over the Palestinians without also minimizing security for Israel’s citizens. To put it bluntly, they rewrite the rules of what many people assume to be a zero-sum game. Would these steps lead to a larger agreement? Probably, but not for certain. Would they improve the status quo? Absolutely. If we approach our political debate with a new metric, if we stop evaluating political ideas on whether they “solve” the problem and ask instead whether they minimize it, we can begin to examine a range of small proposals that would add up to a package of substantial influence. Naturally, there will be disagreement over which steps to take, but that’s the whole point – it’s high time that our disagreements be over this. Our public debate is locked in a dichotomy: We argue for or against plans that promise redemption while neglecting discussion about small, cumulative steps. We tend to believe that confusion produces paralysis, while certainty spurs action. I submit that in our case, the truth is otherwise: It is ideological certainty that has led us to paralysis, while confusion surrounding the great Israeli political dreams can liberate us to take small steps of the sort that will lead us out of our trap – the Catch-67. Micah Goodman is the author of “Catch 67: The Ideas Underlying the Conflict Tearing Israel Apart,” scheduled for publication in English by Yale University Press this August.